The law office of Daily & Woods, P.L.L.C. is excited to once again be a sponsor at the Arkansas Natural Resources Law Institute in Hot Springs, Arkansas. The Arkansas Natural Resources law Institute is the premier oil and gas conference in Arkansas and deemed a "must attend" event for anyone involved in the Arkansas oil and gas industry. The Arkansas Natural Resource Law Institute will include social events and industry meetings beginning at 5:00 p.m. on February 27th, 2019, followed by CLE courses on the mornings of February 28th, and March 1st, 2019. Daily & Woods, P.L.L.C. member Thomas A. 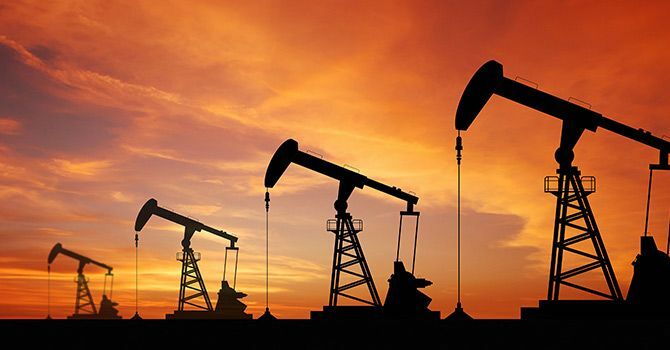 Daily will present litigation updates and recent developments in Arkansas oil and gas law on February 28th, 2019. The full brochure is located on the Arkansas Bar Association's website. Make arrangements to join us in Hot Springs! 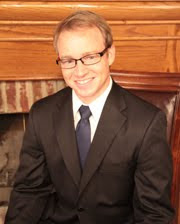 C. Michael Daily is an Arkansas oil and gas law attorney with the long-established law firm of Daily & Woods, P.L.L.C. and is licensed to practice in Arkansas, Oklahoma, North Dakota and Wyoming. C. Michael Daily can be contacted by telephone at 479-242-3953, by email at mdaily@dailywoods.com, or by regular post at 58 South 6th Street, Fort Smith, Arkansas 72902. C. Michael Daily accepts clients in all cities in Arkansas, including Fort Smith, Fayetteville, Springdale, Bentonville, Lowell, Rogers, and Bella Vista. You can follow C. Michael Daily via social network using any of the social network links in the right hand column of the page. The 8th Circuit Court of Appeals recently rendered an unpublished opinion, Kiddie v. Copeland, Case No. 17-2814, involving the statute of frauds, and its application to an agreement to divided a deceased grandfather's property. First, what is the statute of frauds anyway and why should you care? (6) contracts to make a will or devise, entered into after June 17, 1981 (Ark. Code Ann. 28-24-101). The statute of frauds has a long history that dates before the United States was a country. Like much of our current law, we inherited the statute of frauds from England. Arkansas has adopted and codified the rule within three separate statutes. The upshot of the rule is that certain contracts, to be enforceable, must be in writing. While there are exceptions, for the most part, it is a hard and fast rule that the list of agreements, noted above, must be written, and signed by the party "to be charged", i.e. the party whom you desire to enforce the contract against. You care about the statute of frauds, so you don't fall into the trap of relying on an oral promise that may be unenforceable. Kiddie involved such a situation. Kiddie was an appeal of a United States District Court decision that was heard in The Harrison Division of the Western District of Arkansas. In Kiddie, the plaintiff claimed that defendants breached an oral agreement that was alleged to have been made between the plaintiff and three defendants, and pertained to the means by which the plaintiff's grandfather's property was to be divided upon his death. The district court found the supposed agreement, even if it occurred, was not enforceable, because it was unwritten, and therefore, it violated the statute of frauds, as codified at Ark. Code Ann. 28-24-101 (relating to agreements to make a devise). A little planning could have established the disposition of his estate, and avoided the lawsuit completely. The grandfather could have avoided the dispute among the grandchildren if he had left behind a valid estate plan, which could have included a last will and testament and a revocable or irrevocable trust. Indeed, it would have saved all parties involved a substantial amount in attorneys fees and costs, as well. C. Michael Daily is an Arkansas estate planning, real estate, and probate attorney with the long-established law firm of Daily & Woods, P.L.L.C., and is licensed to practice in all cities in Arkansas including Fort Smith, Fayetteville, Springdale, Bentonville, Lowell, Rogers, and Bella Vista. You can follow C. Michael Daily via social network using any of the social network links in the right hand column of the page. You can also contact Mr. Daily by telephone at 479-242-3953, or by e-mail at mdaily@dailywoods.com. Daily & Woods attorneys have been chosen to speak at the Arkansas Bar Association's "Best of CLE" on June 28-29, at the Chancellor Hotel, in Fayetteville, Arkansas. Thomas A. Daily will present an hour CLE on Board of Trustees v. Andrews: Arkansas Newest Court-Ordered Crisis-Tsunami or Just Another Wave, at 8:30 AM on Thursday June 28, 2018. As a preview, also see this write-up on how Andrews is affecting litigation against the State of Arkansas. C. Michael Daily will present an hour CLE on Oil & Gas Lease Covenants--What you See and What you Don't See, at 2:00 PM on Friday June 29, 2018. Registration for both events is still available through the Arkansas Bar Association's website, or at the door.